Furthermore, a meta-analysis assessing evidence of a relationship between anxiety and metabolic control found that, while overall results did not support a significant relationship, in studies using interviews to evaluate anxiety, anxiety did show significant relationship to glycemic control (54). It appears that when more rigorous assessment was utilized, a relationship between anxiety and hyperglycemia was detectable, although not supported by studies employing questionnaire assessment of anxiety (54). While very few empirical studies have evaluated efficacy of treatment for anxiety among adults with DM1, one case study has demonstrated that cognitive-behavioral therapies (CBT) may be useful, suggesting that CBT may be as effective for this population as for others (55). Since anxiety greatly affects quality of life, since studies utilizing interview assessment of anxiety indicate that it interferes with medical outcomes for those with DM1 (54), and since diabetes-specific anxiety and hypoglycemic fear may interfere with glycemic control, interventions to treat anxiety among those with DM1 are greatly needed (50,51). Despite the fewer studies regarding treatment of anxiety among those with DM1 compared to the literature addressing depression, the existing evidence suggests that clinicians should have a high suspicion for anxiety among adults with DM1. In addition, the potential detriment regarding metabolic outcomes suggests that therapies to ameliorate anxiety are imperative. 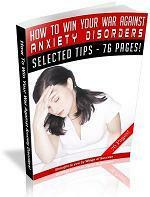 Immediately after the diagnosis, a commonly experienced reaction is anxiety. Anxiety is a problem not only because it is intrinsically distressing, but also because it can interfere with good functioning. Anxious patients may be debilitated by their Anxiety is high when people are waiting for test results, receiving diagnoses or waiting for medical procedures and anticipating the adverse side-effects of treatment. Anxiety is also high when people expect substantial lifestyle changes to result from an illness or its treatment, when they feel dependent on health professionals, and when they lack information about the nature of the illness and its treatment. While anxiety that is directly attributable to the illness may decrease over time, anxiety about possible complications, the disease's implications for the future and its impact on work and social activities may actually increase. There are no published guidelines regarding choice of antidepressant therapy for individuals with DM1 or DM2. However, differences in metabolic side effects, including changes in weight, insulin sensitivity, and lipid profile, can guide medication choice to some extent. The selective serotonin reuptake inhibitors (SSRIs), the serotonin and norepinephrine reuptake inhibitors (SNRIs e.g., venlafaxine and duloxetine), mirtazapine, moclobemide, monoamine oxidase inhibitors, tricyclic agents and bupropion are all indicated for the treatment of depression (132). The SSRIs and SNRIs are also first-line agents for the treatment of anxiety disorders, and so these agents should likely be used in cases that involve both depression and an anxiety disorder (132). 1 Moderate hypoglycemia This level is achieved when the blood glucose is found to be around 65 mg dl. The patient begins to feel the adrenergic symptoms described above, especially anxiety and a rapid heartbeat. Patients who have moderate hypoglycemia may not recognize they need glucose and have to be helped by someone else. If you exercise regularly with type 1 or type 2 diabetes, pregnancy is no reason to stop working out, but you may need to lower your workout intensity. If you have gestational diabetes, exercise lowers your blood glucose level and so is considered an effective part of your treatment plan. Staying physically fit during your pregnancy will help you prepare for the work of labor and baby care that lies ahead. Exercise can also moderate your weight gain, increase your strength and stamina, and lower your anxiety level. In some cases, it may help you avoid or delay the start of using insulin. Your provider will evaluate your concerns and help you sort out the causes. There are many factors that can result in sexual difficulties, including medications, hormonal changes, problems caused by diabetes, and your emotional health. If your sexual problem appears to be due to a physical cause, you may be referred to a gynecologist or urologist. If stress or anxiety is contributing to your problem, a visit with a mental health professional may be in order. Depression, which is more common among people with diabetes, can also contribute to problems with sexual fulfillment and performance. Immediately after diagnosis, people are often in a state of shock. They find that their usual ways of coping with problems do not work, at least temporarily, and they may experience intense feelings of disorganisation, anxiety, fear and other emotions. Eventually this crisis phase passes and people begin to develop a sense of how the diabetes will alter their lives and can be integrated into them. At this point, more long-term difficulties that require ongoing attention may become apparent. Don't forget that your child is looking to you for guidance. Your attitude will have a direct impact on how your child sees himself and how he comes to terms with his new lifestyle. If you take your child's diabetes in stride, it will be easier for your child to accept it. If you react with anxiety, apprehension, and fear, so will he. Deal with diabetes in a matter-of-fact way. Don't downplay your child's fears or concerns, but address them in a straightforward fashion. 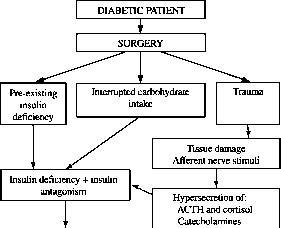 Neuroglycopenic symptoms (25) such as behavioral changes, confusion, fatigue, seizure, and loss of consciousness are the direct result of widespread central nervous system (CNS) neuronal glucose deprivation. If hypoglycemia is prolonged and severe, this mechanism can cause permanent brain damage and even death. Neurogenic (auto-nomic) symptoms (25) are the result of the perception of physiological changes caused by the CNS-mediated autonomic (sympathochromaffin) discharge triggered by glucose deprivation from glucose-sensitive neurons in the brain (and perhaps in other sites, including the portal vein). They include both adrenergic (adrenomedullary epineph-rine-mediated and sympathetic neural or adrenomedullary norepinephrine-mediated) symptoms such as palpitations, tremor and anxiety, and cholinergic (sympathetic neural acetylcholine-mediated) symptoms such as sweating, hunger, and paresthesias. Abram Hoffer, M.D., Ph.D., one of the pioneers in vitamin therapy, initially began treating cancer patients for depression and anxiety. He soon found that patients taking large dosages of vitamin C and other vitamins and minerals were living longer than those who did not. When his cases were analyzed by Nobel laureate Linus Pauling, Ph.D., it became clear that cancer patients were living several times longer (postdiagnosis) when they took supplements, compared with patients who chose not to take supplements. One small study compared 9 young women with bulimia nervosa who were receiving in-patient treatment to 10 young women with bulimia nervosa who were not. These patients were reassessed 3 years after treatment by examining their body mass index, HbA1c results, and psychological test scores. Patients who had received inpatient treatment had lower HbA1c results and demonstrated lower scores on measures assessing depression, anxiety, and binge eating and purging behaviors (80). Although the small sample size of this study makes it difficult to discern how generalizable the results are, these preliminary findings do suggest that inpatient treatment may be a more helpful form of treatment for women with diabetes who are suffering from bulimia nervosa. Education can have a number of objectives relevant to rehabilitation. It promotes good metabolic control and behaviours that prevent further impairment and minimize disability and handicap. Furthermore, participation in education programs can foster autonomy, improve self-esteem and coping skills and reduce anxiety and depression (Rubin, Peyrotand Sandek 1989). 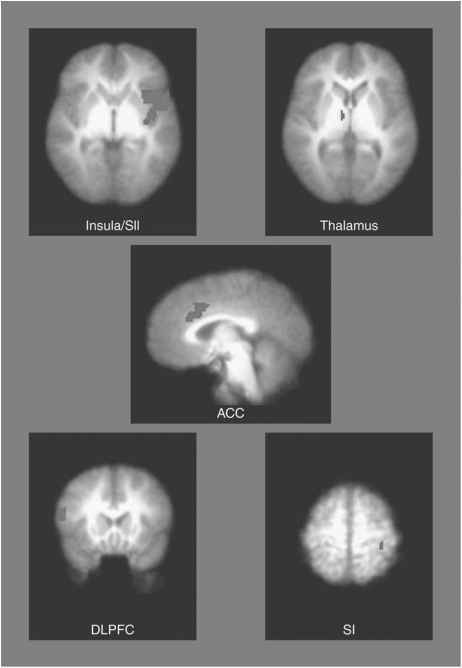 In other words, education can reduce the psychological handicap resulting from diabetes. 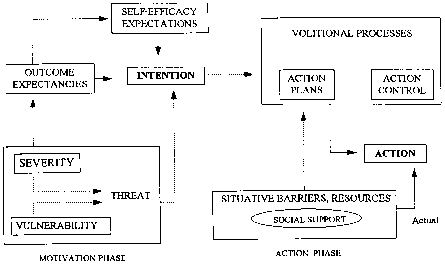 Support groups or self-help groups can also have a major impact on psychological rehabilitation, though it is valuable to have input from a health professional, preferably one with some training in psychotherapy (Toth and James 1992). A clinical psychologist usually has a master's or doctoral degree in psychology and is trained in individual, group, and family psychology. You may visit a clinical psychologist to help you through a particularly stressful period over the course of several weeks or months, or on a longer-term basis to work through depression, anxiety, or other problems. This control, which they feel they will be pressured to do if they acknowledge their disorder. For these reasons, the health care provider must be alert to signs that a patient may be suffering from an eating disorder, especially when the patient is a young woman. These signs include frequent diabetic ketoacidosis (DKA), elevated glycohaemoglobin levels in a knowledgeable patient, anxiety about or avoidance of being weighed, frequent and severe hypoglycaemia, bingeing with alcohol, or severe stress in the family. It is also critically important for researchers to be able to delineate, in a meaningful and reliable fashion, the neurocognitive characteristics of each child and any acute state - depression, anxiety, low blood glucose values -that might influence cognitive performance at the time of that assessment. Ordinarily, this is accomplished by administering a battery of psychome-trically sound neuropsychological tests, assessing mood state, and measuring blood glucose periodically during the assessment session. Unfortunately, there are no universally agreed upon standards for selecting such tests, particularly when assessing children (or adults ) with diabetes, despite pleas for the establishment of a core battery (5), as has happened in research with other neurocognitive disorders like dementia (6, 7). Lack of consistency in neuropsychological assessment across research groups challenges our ability to rationally aggregate results from many smaller cross-sectional studies. While mild and severe hypoglycemia rates are lower in type 2 diabetes compared with type 1, due to residual insulin production in type 2, patients who use sulfonylureas or progress to insulin therapy can experience acute low blood sugars (113). 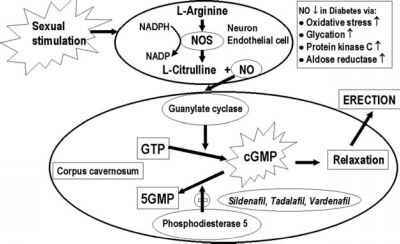 Such episodes cause both autonomic and neuroglycopenic changes. Neuroglycopenia appears to impact the cerebral cortex more than the deeper brain structures, in terms of cognitive functioning. Complex, attention-demanding and speed-dependent responses are most impaired, with accuracy often preserved at the expense of speed. Cognitive function does not recover fully until 40 to 90 min after blood glucose is returned to normal. Hypoglycemia also provokes changes in mood, including anxiety and depression, and increases fear of further hypoglycemia, which in turn can modify self-care behavior (e.g., over-treating with food) and thus blood sugar control (114). 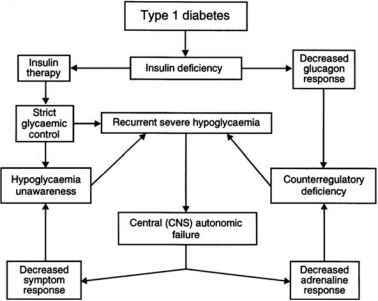 In conclusion, hypoglycaemia continues to be a common problem in the management of individuals with type 1 diabetes. The use of newer technologies of continuous glucose monitoring has highlighted that it is almost impossible to eliminate hypoglycaemia completely with present insulin therapy, although understanding moderating factors such as alcohol and including them as a component of education programmes for people with insulin-treated diabetes may help to alleviate some of the anxiety associated with the risk of living constantly with the threat of hypoglycaemia. The comorbid association of eating disorders and depression could arise for a variety of reasons. Negative emotional states, including intense feelings of depression, anger or anxiety, may precipitate the full range of disturbed eating behavior (11, 12), in addition to other maladaptive behavior. It has also been suggested that binge eating, vomiting, extreme food restriction and other weight-control behavior may be used to help modulate or to distract oneself from depressed mood, or to give the illusion of control or mastery by focusing on a specific aspect of self-regulation (11, 12). Severe eating disorders are also associated with frequent medical complications and a significant mortality rate. In a meta-analysis of outcome studies of anorexia nervosa, crude mortality rate was found to be 5 at 4-10-year follow-up, and 9 at follow-up after 10 years (13). Some studies in humans also suggest that cerebral hypoperfusion may be associated with increased risk for cerebral edema-related DKA (28, 37, 38). Patients with DKA with higher serum urea nitrogen levels (a marker of dehydration) are at increased risk for cerebral edema. Hypocapnia, present in DKA, results from hyperventilation and can cause cerebral vasoconstriction. DKA-related cerebral hypoperfusion prior to treatment may lead to subsequent vasogenic edema with reperfusion (38). Your child's self image and self esteem are threatened by diabetes. Be understanding and supportive. Try to avoid unnecessary anxiety about cheating. You don't want to cause guilt feelings, or make your child think he or she is bad. Children who think are bad may act accordingly. Help your child plan ahead. No child can should be expected to assume complete responsibility for diabetes control at too early an age. But, ultimately, responsibility for eating properly, injecting insulin, testing blood sugar, and planning exercise will be the child's. Maturity, independence, self control, and self esteem will grow as your child learns self-care. 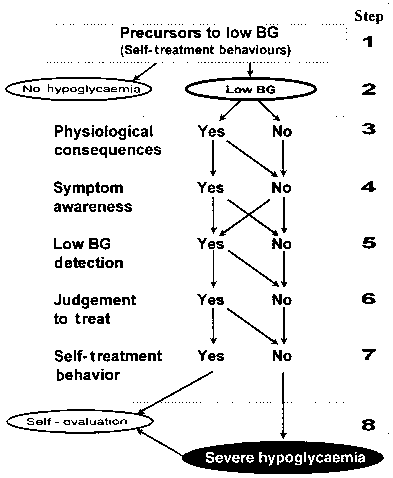 There is some evidence that BGAT can reduce emotional fear of hypoglycae-mia, patients with a history of traumatic experiences related to low BG or high levels of anxiety about their ability to cope with hypoglycaemia may benefit. BGATs potential effects on hyperglycaemia detection, frequency and severity of high BG excursions and metabolic control also suggest that it may be useful for patients with poor diabetes control. Finally, BGAT studies have repeatedly shown that those patients who are very poor at estimating glucose levels can benefit greatly. Therefore, it should be useful for patients who are frequently 'surprised' to find out that their BG is far too low or high, or who are unaware of the extreme range of their glucose fluctuations. Those with diabetes and in their relatives. Fear of hypoglycemia causes anxiety and psychological distress and is so great in some people that it provokes behavioral change and may negatively influence their approach to self-management (59). This may underlie the resistance shown by some patients to therapeutic recommendations to intensify treatment to achieve strict glycemic control. Hypoglycemia can affect personal relationships (sometimes causing marital tension), employment prospects, driving, recreational activities including exercise and sport, travel, and holidays, and acceptance for insurance. Detailed accounts of the everyday problems of living with hypoglycemia, and how these may be addressed, are available elsewhere ( 60, 61). Don't be afraid to bring up sexual or personal topics. Your team members are professionals and are prepared to help you deal with even the most sensitive topics. Your emotional health is critical to your well-being. Let your provider know if you are struggling. Don't be afraid to discuss money. Health care professionals realize that financial worries can contribute to patient anxiety, and most will be willing to discuss payment options. Tell your provider if you are having trouble paying for your medications or diabetes care supplies, even if you are not asked. If cerebral edema is suspected, treatment should begin immediately by reducing intravenous fluid administration (1, 57) and by providing supportive care. Mannitol may be administered intravenously as 0.25-1.0 g kg over 20min in impending respiratory failure, while hypertonic saline (3 , 5-10 ml kg over 30min) may be used as an alternative. In cases of respiratory failure or alterations in sensorium, intubation and ventilation may be necessary. Assisted hyperventilation has resulted in poor outcomes in children with DKA-related cerebral edema (58). Although a detailed review of DKA treatment is beyond the scope of this chapter, Fig. 2 illustrates general guidelines. I Moderate hypoglycemia, which is marked by a blood glucose of about 65 mg dl, is treated by the caretaker by giving two to three glucose tablets, waiting 20 minutes, and testing to make sure the glucose is back to normal. If it isn't normal, more glucose is given. It's recognized as the patient begins to feel the adrenergic symptoms, including rapid heartbeat and anxiety. Moderate hypoglycemia leaves the person unable to function he doesn't recognize the need for glucose and must be helped. DKA usually develops over a short period of time, generally in less than 24 h. There may have been some antecedent days with general malaise and poor metabolic control. Depending on the degree of hyperglycaemia, the history will include symptoms of polydipsia and polyuria. Specific symptoms depend on precipitating factors and co-morbidity. Physical examination may reveal poor skin turgor, hyperventilation (Kussmaul), hypotension, tachycardia and impairment of mental status. Many patients have infection, but patients may present with normothermia or even hypothermia due to peripheral vasodilation caused by the acidemia. Diabetes-related losses that a person experiences84. There may be other reasons for low mood, such as negative life events, but whatever the aetiology it will have a major impact upon the person's capacity to self-manage. Screening to detect depressed mood may be helpful in patients who are attempting significant lifestyle change. A simple scale, such as the Hospital Anxiety and Depression Scale 5, can screen out patients who should either be excluded from behaviour change counselling, or need help for their problems as a precursor to work on self-management. It would then be important for the person to receive the appropriate treatment, either pharmacologically or with cognitive therapy. Until recently, the studies which reported that neuropathy can have a negative impact on the functioning and QoL relied upon generic instruments, which do not describe the condition-specific features of neuropathy. 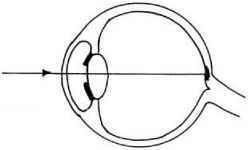 Thus, Vileikyte et al. (24) developed the first neuropathy-specific QoL instrument, NeuroQoL, which investigates the impact of symptoms and or foot ulceration as a consequence of neuropathy on QoL. The results of this study demonstrated that patients experiencing neuropathic symptoms reported severe restrictions in activities of daily living (e.g., leisure, daily tasks), problems with interpersonal relationships, and changes in self perception. It therefore appears that neuropathic pain and changes in self perception as a result of foot complications have the most devastating effect on the individual's QoL. Finally, recent research suggests that not only do painful neuropathic symptoms have an effect on qualify of life, but also generate symptoms of anxiety (23). Rimonabant is an antagonist that is, it prevents the CB1 receptor from being stimulated and reduces appetite. Over a one-year period, patients on 20 mg of rimonabant had an eleven-pound weight loss, and when followed for a second year maintained the weight loss, whereas those who came off the drug regained the weight. The main side effects were nausea, anxiety, and depression. About 40 percent of the subjects did not complete the trial. It is too early to say how useful this medication will be in helping weight control. For many people, having diabetes means insulin injections. From the moment they learn that they have diabetes their thoughts may be occupied by the terror of having to inject themselves. They think that these injections will start on their first visit to the diabetic clinic. Sometimes this unexpressed anxiety can impede communication. This may be an unfounded fear, but unfortunately some people do need insulin, and, at present, this has to be given by injection. Elderly people may think more slowly than youngsters and can be completely overwhelmed by the torrent of information pouring over them at diagnosis of diabetes. This can cause confusion and distress and produces much anxiety. Such patients need step-wise education, away from the bustle of a big clinic, and preferably in their own home. Treatment can often be started gently to avoid early side-effects. It is usually wise to include a close relative in the discussions with the patient's permission. Each person's responses to a diagnosis of diabetes are different. Even your own reactions to the condition will vary from time to time. This chapter will discuss, first, how people attempt to make sense of the diagnosis and try to understand the implications of having diabetes, and then consider some of the common emotional reactions to diagnosis including denial, anxiety, relief, depression, anger and stress, providing some helpful tips for coping with these common emotional reactions. It is very common to feel overwhelmed after learning that you have a condition such as diabetes there is no easy way to accept the fact that your life is going to change. When first diagnosed, you may not be able to react at all, since it may not seem 'real' to you, especially if you don't have any noticeable symptoms. As the full impact of the diagnosis sets in, you may experience a whole variety of feelings ranging from sadness and anxiety to anger and frustration. You may feel upset because you will need to make some lifestyle changes, and you may be afraid that you will never adjust to living with diabetes. A well-developed literature has investigated the comorbidity between DM1 and depression, and the relationship of depression to medical outcomes among those with DM1. It has been shown that individuals with DM have a disproportionately higher rate of psychiatric disorders (16), with affective and anxiety disorders being more commonly diagnosed than in the general population (17,18). In one study of DM1 and type 2 (DM2) inpatients, 52 presented with at least one lifetime psychiatric disorder, and 41.3 presented with a diagnosis within the past 6 months (17). In this sample, affective and anxiety disorders represented 83 of the psychiatric diagnoses. Another study of DM1 outpatients showed rates of anxiety and depressive disorders at 44 and 41.5 , respectively (18). The benefits of breastfeeding are discussed in Chap. 22 and include improved bonding, reduced maternal anxiety, monetary savings, decreased risk for postmenopausal hip fractures, and decreased infant illness with improved cognitive function of the newborn (28). Breastfeeding may lower the child's risk of developing diabetes and helps to prevent many infant and childhood illnesses such as otitis media, gastroenteritis, asthma, respiratory tract infection, obesity, and sudden infant death syndrome (SIDS) (28). Maternal weight loss is also a benefit. Calorie requirements are increased during lactation and are the same as calories needed in the third trimester with a recommended carbohydrate intake of 210 g per day (11). The estimated calorie expended in milk production is 500 kcal per day during the first 6 months and 400 kcal per day during the second 6 months of breastfeeding. Chromium depletion can lead to symptoms including increased blood cholesterol, problems with sugar metabolism, fatigue, an increased accumulation of plaque in the aorta, increased blood pressure, anxiety, impaired physical growth in the young, slower healing time after surgery or injury, atherosclerosis, decreased glucose tolerance, reduced conversion of thyroxine to triiodothyronine in the periphery, and possibly decreased fertility and longevity. There is certainly reluctance to attempt strict glucose control in those newly diagnosed, partly based on a reasonable wish not to add to the burden of diabetes at this early stage of the disease. The culture of diabetes care varies more between countries than the reader of a text on evidence-based medicine might imagine, but there is something quintessentially British about the desire not to provoke anxiety about future unpleasantness until the opportunity of doing anything useful to prevent it has lapsed. Further investigation of the feasibility, costs and benefits of early aggressive insulin therapy from diagnosis would clearly be justified. It is also clear that trials of immune intervention need to be carefully standardised for glucose control - a powerful reason for insisting on blinded trials wherever feasible in this situation. The extent that this may impact on health and diabetes control will vary from one child to another and may be manifest as an increased risk of severe hypoglycemia, deteriorating HbAlc levels, and episodes of ketoacidosis. A reluctance to do more than a minimum of blood glucose tests, erratic meals, and missed insulin doses are common (60) and may all contribute to this. The adolescent may feel that the less attention that is paid to diabetes management, the less intrusive it is on their life. Parental anxiety and threats or discipline tend to make matters worse, as the adolescent is already well aware of the long-term consequences of poor control, is abundantly reminded of parental concerns, and resents interference in their task of maintaining the complex balance of keeping healthy and growing up in conformity with their social environment. A recent study compared patients with DM1 and bulimia, to those with DM1 and binge eating disorder. Although both of these are serious forms of disordered eating, the study found that the presence of bulimia nervosa was highly associated with severe disturbances related to depression, anxiety, and eating disorders. In addition, the group with bulimia nervosa showed an overall higher rate or co-occurring mental disorders, psychosocial dysfunction and poorer overall glycemic control (77). The psychological benefits of exercise are equally important for the obese individual with Type 2 diabetes. 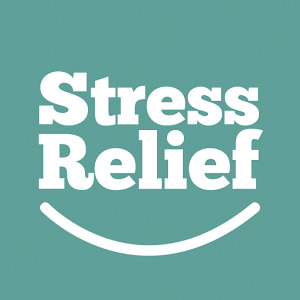 Reductions in anxiety levels, improved body image and higher self-esteem promote greater self-efficacy and help the individual to cope with stressful situations which often result in overeating and relapses (71,72). Polyuria, polydipsia, and weight loss are nearly always present historically in a patient with DKA. Metabolic acidosis initiates hyperventilation to compensate for aci- The classical patient with DKA is characterized by dehydration, acidosis with hyperventilation, with varying degrees of cerebral obtundation, and peripheral circulatory compromise. Again, the most common precipitating factors following initial presentation are omission of insulin, infection, and, in adults, typical or atypical myocardial infarction (1,7). 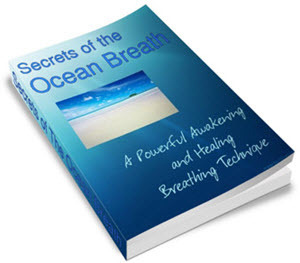 Metabolic acidosis stimulates chemoreceptors in the CNS, which results in partial correction of the metabolic acidosis via hyperventilation and a decrease in the partial pressure of CO2. There is a linear relationship between serum bicarbonate concentration and pCO2, and this relationship suggests that end-tidal CO2 measurements may be used as a rapid screen for acidosis in children who have suspected DKA or to follow the course of acidosis in children who have DKA (Fig. 4) 61 . Blood glucose control, neuroleptics, and benzodiazepines are the mainstays of therapy for this neurological complication. Ventral thalamotomy has been used successfully in one case (76). Abnormal movements usually resolve or improve after hyperglycemia treatment in the majority of patients (76). Subcutaneous injection has been the only route of insulin administration for daily use by patients with T1DM for the past 80 years. A barrier to insulin therapy relates among other things to patient fears and anxiety about insulin injections. Although needles have become smaller and sharper, thereby causing less painful injections some people consider needles and injections a perceived stigma for diabetic subjects. It is only recently that alternative routes of insulin administration are becoming viable. Many avenues of insulin administration have been explored including oral, buccal and pulmonary routes 34,35 . Among non-invasive candidates, inhaled insulin (INH) appears to be the most promising. The lung offers a large surface area (75 m2) and the alveolar epithelium is approximately 0.1-0.5 im thick, allowing rapid absorption of inhaled drugs.